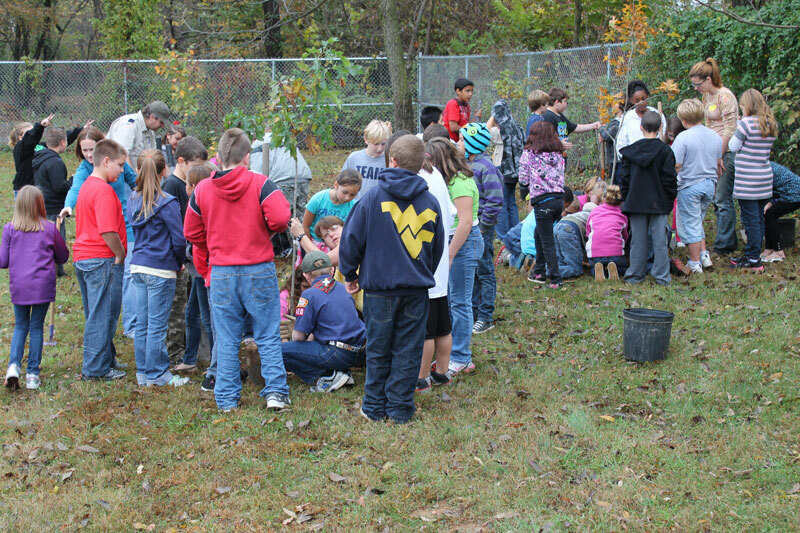 On October 19th, 2012, South Jefferson Elementary School planted 150 native trees on their campus as part of WV Project CommuniTree’s Fall 2012 planting season. The planting day was a cool and overcast but dry day. 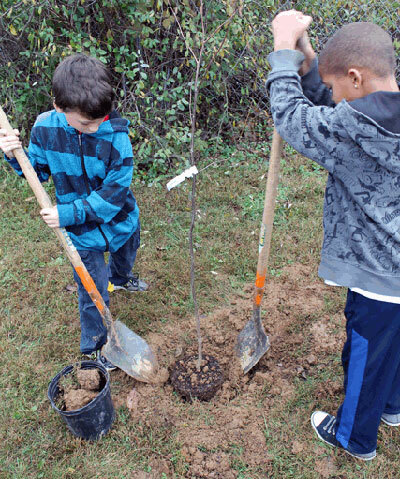 The plans were to involve the entire student body of over 500 students in 40 minute blocks of time to plant all of the trees in the school day from 9:00 AM- 3:30 PM. The day started with our oldest students in grade 5 and continued through all grades to end the day with our Kindergarten students. The class groups were accompanied by teachers -Chris Atkins, Pam Shearer, Principal - Rick Jenkins and Head Teacher Keri Mahoney. Several parents also assisted during the day. 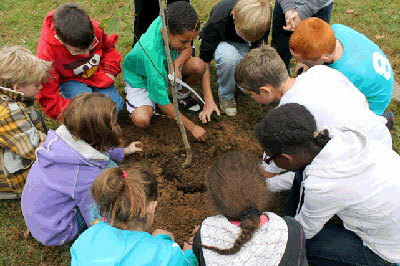 Each group was taught a brief lesson on trees and answered questions about trees and the environment. 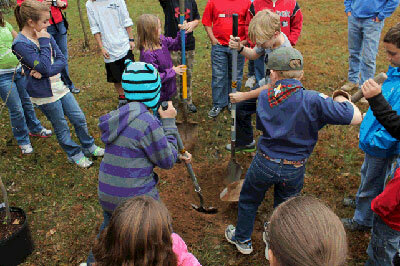 This was followed by all students being able to plant the trees. It was a very rewarding day for everyone and many positive comments came from parents of the impact it had on their child. 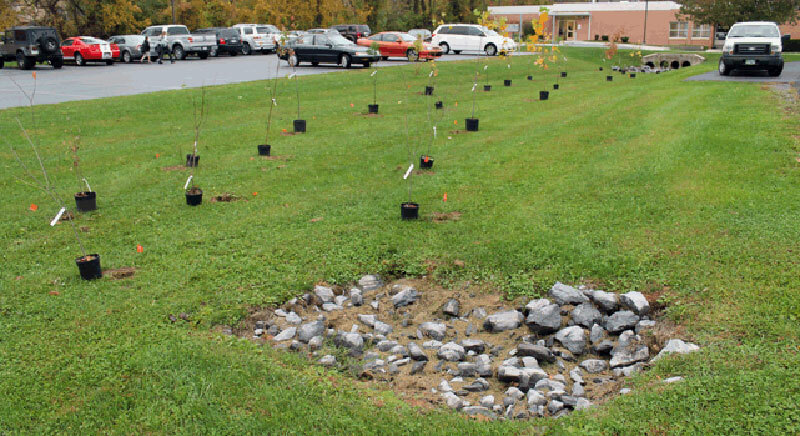 Planting locations on the property included a drainage ditch in front of the school, a fence line on the playground, and a nature walking trail behind the school. Several places on the playground will benefit from the added shade for the students and line of sight breaks along the fences. 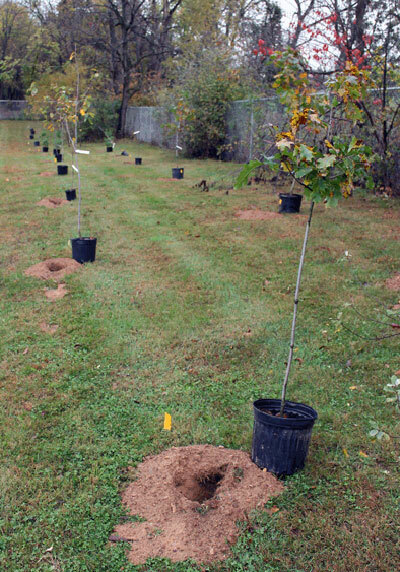 The majority of the bare root stock, which included evergreens and hardwoods, were planted in the area of the school’s new nature trail. This trail is approximately a half mile long in the wooded area surrounding the school.